Pink beach is simply majestic beauty beach on the island. Located in Jerowaru district in East Lombok. The tour begins from Katamaran Resort approximately 2 hours drive to Tanjung Luar harbor (one of the biggest fish market in Lombok), than continue embark onto a private outrigger boat to Pink beach about 30 minutes. On your way to go there you will pass Gili Petelu and Tanjung Ringgit where you can swim and see starfish. 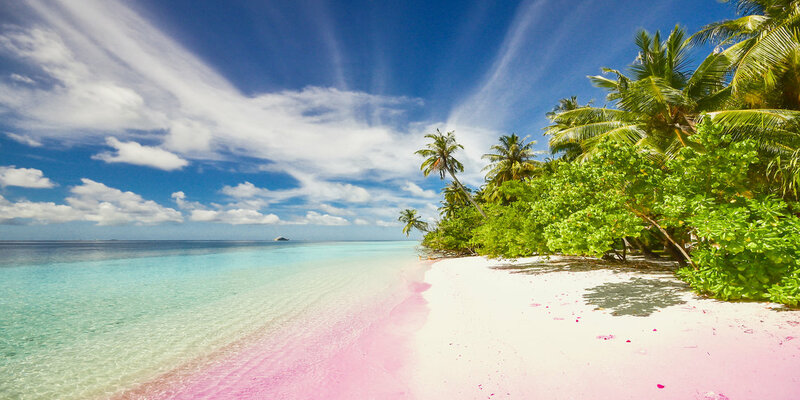 Pink beach is famous for its sand colored pink which can be seen in the morning from 08:00 – 10:30 a.m. The beach has attractive panorama and crystal clear water. You can also snorkel or just sunbath. Swimming off the beaches is safe. There are only a few food stalls there, therefore wesuggest to bring your own picnic lunch box from the resort.